Paul Gaylon likes to be on the cutting edge. 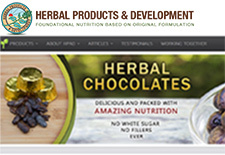 President of Herbal Products & Development, he has studied herbs and formulated innovative herbal products and whole food concentrates for over 30 years. Through his extensive travels, he has become knowledgeable in native and foreign herbs. Paul has always been dedicated to implementing new concepts in health, nutrition, and herbology. Paul is an avid reader and researcher on the leading edge of herbal and health frontiers. His involvement in new product development in the U.S. has taken him to other countries for research and to photograph plants, herbs, and flora. Herbal Products & Development is well–known regionally, and also offers products nationally to individuals, practitioners, and stores. Paul's projects include Unifiedcommunity.info (and .net), a website conceived as a union of communities offering a networking hub of links to over 1,800 websites from around the world, dedicated to a sustainable, environmentally responsible world. He is also currently developing another website exploringbotanicals.com, which will showcase a large photo collection of plants (all original photos taken by him, locally and from his international travels) with brief explanatory statements, projected to make it a valuable reference work on the Internet. 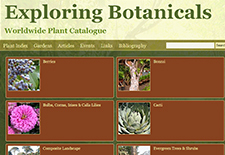 Exploring Botanicals will soon become wikibotanica.com. Paul has sponsored and been involved in many community events including the Hemp Expo '98 in Santa Cruz, Spring into Summer 2012, and Synergy Parties. 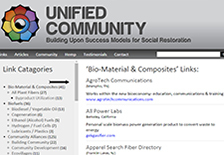 For more information, please visit Paul's Unified Community website. More recently when time permits, Paul has been going to musical and multi-cultural events; he assists with First Aid at some of those events. Paul has been providing talks and demonstrations at local and regional venues on health, food, nutritional topics and has been sharing some of his cultured and fermented foods. Paul enjoys sharing with people and community. Some of his recipes can be found on Herbal Products & Development and Unified Community / Links.